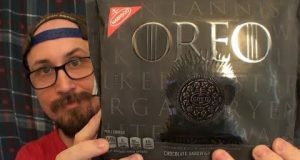 Oreo O’s Cereal is back, a Brad tries out a new box! Who would have thought that the return of a breakfast cereal would generate such huge news? I hope I can find it someplace other than Wal-Mart (my family and I refuse to shop there). 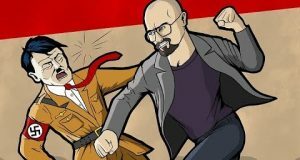 I remember the cereal, but my impression’s been lost to time. Oreo churros are also a thing – I liked those so perhaps I’d like the cereal, too? I’ve never heard of Oreo O’s before. They sound like they’re delicious though. When it comes to cereal, I exclusively eat Nature’s Path, made with organically grown non-GMO grains, sweetened with unrefined cane sugar, and containing nothing artificial. And it’s tasty to boot. The grains are healthy, unrefined cane sugar is a better option than fully refined sugar/corn syrup/artificial sweeteners, and it has zero additives. As long as you eat it in moderation, it’s a perfectly acceptable part of a healthy diet. Anything made by General Mills/Post/Quaker (except plain oats) is not. I remember this cereal from when I was a kid! Tore up the roof of your mouth after a few bites.